relations as best instrument to tackle social and political problems. devastating what formers had built. ISNAD AHMED, Abdellah Kedir . "CULTURAL IDENTITY AND YOUTH (THE CASE OF MUSLIM SOCIETY)". 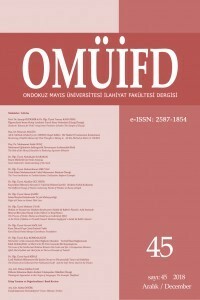 Ondokuz Mayıs Üniversitesi İlahiyat Fakültesi Dergisi 0 / 36 (December 2015): 51-65.